Southern California Mobile CPR is dedicated to training people, in order to prepare them for emergencies situations. We offer world-class CPR training and BLS certification in Yorba Linda and throughout Southern California. Our experienced instructors have real world experience that can be passed on to individuals renewing their CPR training or first timers. 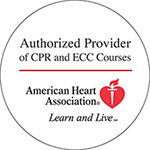 Course materials and guidelines are set by ILROC and the American Heart Association ECC. These guidelines are reviewed on a regular basis to ensure that the latest techniques and information are included in every course we teach. Our Yorba Linda CPR classes and courses are taught by experts in a setting of your choosing. This helps ensure that you’ll have time for you and your staff, to ask questions comfortable environment. 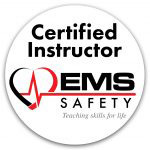 Courses take just a few short hours which include: Adult, child and Infant CPR, choking treatment and AED use. Our hands-on training will help you be prepared for a real emergency. In order to make our CPR classes in Yorba Linda even more convenient, we provide the flexibility to our clients. 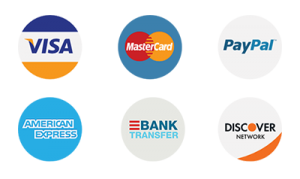 We allow you to choose the date and course location. We encourage to provide our training in a place where the trainee can be comfortable. This way, you can learn at your own pace, then practice your new skills to a trained, certified instructor, and receive certification that’s valid for two years. If your employer requires CPR certification, BLS certification or you would simply like to obtain the training, it’s important to know that your credentials will expire two years from their award date. However, at Southern California Mobile CPR in Yorba Linda, CPR certification is easy to maintain. 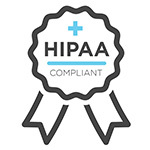 We offer recertification classes in and around your area throughout the year, so you can maintain your credentials and skills. After taking our CPR classes in Yorba Linda, you can maintain your skills by purchasing an American Heart Association or EMS Safety CPR and AED manual. The manual may be reviewed whenever you like. We hand out a reference chart along with your personal CPR face shield, at all our CPR, AED and First Aid classes. The reference chart will help you remember vital information you can review at your convenience. Southern California Mobile CPR offers CPR training and BLS certification in Yorba Linda for private organizations, first responders and those working in the medical field. We offer training programs for schools, organizations and medical facilities. We also offer our CPR and first aid classes in Spanish. In order to ensure that you receive the most accurate, up-to-date information and training available, all our courses and materials follow the ILCOR, American Heart Association and ECC guidelines. If you’re taking a Southern California Mobile CPR class in Yorba Linda you can rest assured that you’re getting accurate, proven training that can help you save a life.